About two weeks before most opening nights we hold a Pre-season Briefing at STC with the cast and key creatives. Our Pre-season Briefings are lively conversations between cast, creatives and the audience. Held during rehearsals, they are a fun and interactive way to find out about the creative process before seeing the show. If you can't make it on the night you can often follow along on Twitter, where we'll live-tweet the conversation. You can also catch up on previous briefings over on our Magazine. 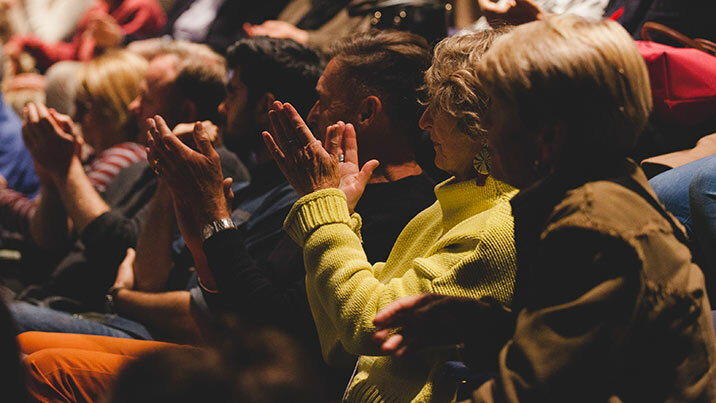 Find out about other ways you can join in through our Insight Events — our range of free and ticketed events designed to give you further insights into our plays. Tickets will be held at the box office for collection on the date of the pre-season briefing.